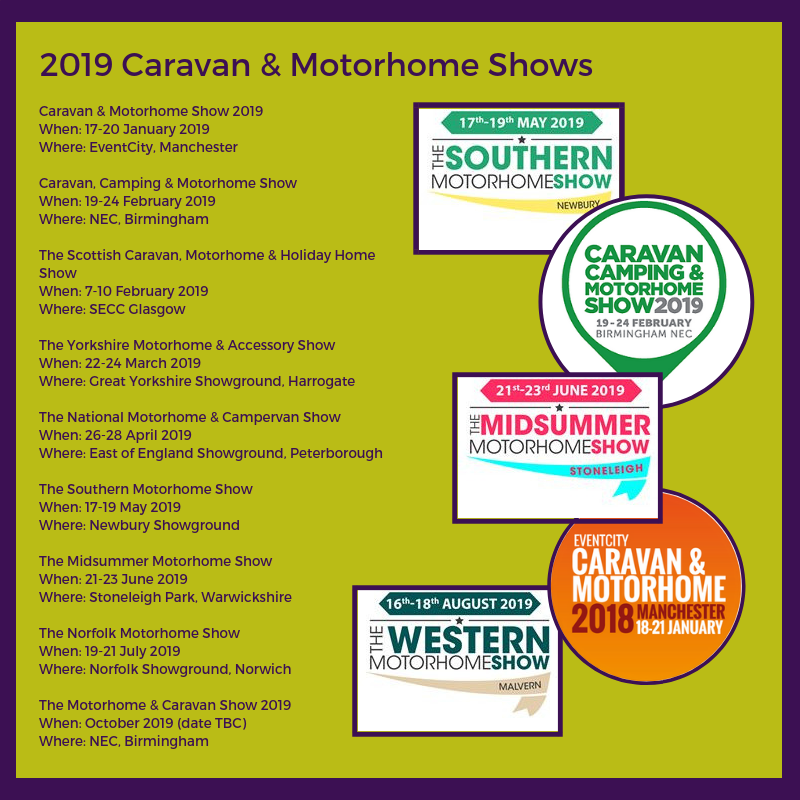 There are a number of caravan and motorhome shows throughout the year, taking place at locations across the country. These events see new model launches, great offers and the opportunity to view a huge range of caravans and motorhome all in one place. If you’re looking for a new caravan, one of the shows could be an ideal time to make your purchase. Here are our tips for getting the most out of a show, and hopefully making the right purchase for you. Make a shortlist of caravans you want to see. Do some research prior to visiting the show, so you’ve got an idea of which types of caravans or motorhomes you’re looking for, and which brands and dealers you want to visit. Exhibitor information will be available on the event websites prior to the show, so you can plan your day. Don’t forget to check that your car can safely tow the caravans on your shortlist. Use an online caravan and tow car match tool to find out and make sure you won’t have to buy a new car too! 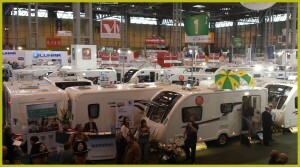 At shows, dealers will often offer a number of special edition versions of standard caravans. These special editions will be more expensive than standard models, but the value of the extras will represent excellent value for money, then it’s worth considering these. Caravan Magazine have an handy comparison list printable to help you compare caravans when you’re at a show. Dealers will be competing for your business at shows so there should be some excellent deals to be had. However, the best price for your ideal caravan may be from a dealer based miles away from your home. You’ll need to consider that if there is an issue, how easy will it be to tow your caravan to the dealership to get it repaired under warranty? This could also be the case for annual servicing. Remember that you don’t have make a purchase there and then, unless it’s the last day of theshow and a show only offer. Take a coffee break to mull over your options, or better still, sleep on it. Finance options should be available at the shows, but it’s worth considering this in advance, if you’re planning to make a credit purchase. Before you make the final decision, don’t forget to consider how much it will cost you to insure, and where you will store your new tourer – you may not be able to park it on your driveway. CaSSOA has over 400 secure storage locations across the country.